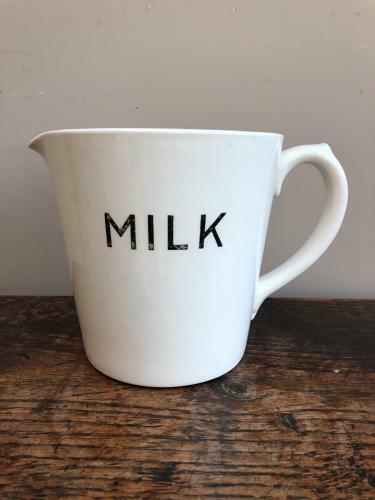 SO hard to find...Early 20th Century black on white MILK jug. This one is a Gibsons, Burslem, England. Good size being two pints or one quart with measuring line inside. Great condition...no damage at all.